A great number of travel photos I take when traveling are from the car as we drive along the highways. Sometimes from a rolled down side widow, but most often through the windshield. This type of picture taking is far different that the planned artistic captures that we see in travel magazines and websites. However, pictures from a moving car can be as challenging as the setup and preparation for that once in a life time picture at sunrise or sunset. Reflections, glare and motion become the challenge and post processing tools become essential. A higher shutter speed becomes important, as well as avoiding anything close to the car as it will be blurred. Head on shots through the windshield are good for closer scenes as there is typically less blurring. Be ready to crop out unwanted foreground or parts of the car when working on your photographs. I usually get a picture of the driver as well, we are all part of the experience. 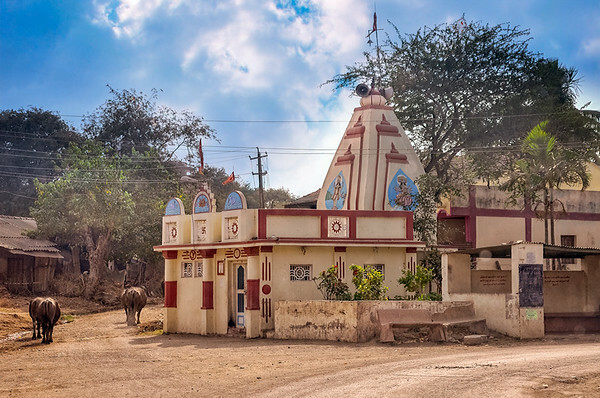 Here is a video of the temple in Sagar as we drive by it in the car. It is in the first few seconds of the video, but keep watching to see rural India. A few days later we drove by it again, but this time I took the still shots with my Nikon D90 that you see above. Through the windshield of the car as we drive through Mirjapor toward Delvada on Maroli-Chhinam Rd. Below is a great read from Nikon Rumors about photography from moving vehicles. I suddenly feel vindicated about my photo site pictures and some great pictures exist along the way to your final destination. Nikon Rumors "The Photo I missed"
There are a lot of good tips in the post and many are actually what I do when traveling, if you are serious about getting better shots it is well worth the read. If you look at my post from 2013 take note that all the pictures and video were shot from a moving vehicle (except for the fashion shots). Get out and see the world. My wife and I visited India for the first time in 2010. Our first stop was Hyderabad. On Saturday January 23rd we drove to Golconda Fort (a few miles west of Hyderabad). The city of Golconda was the capital of the ancient Kingdom of Golconda. The city at one time was the center of the diamond trade. The fort dates back to the 12th century and was ruled by various kings throughout the centuries. 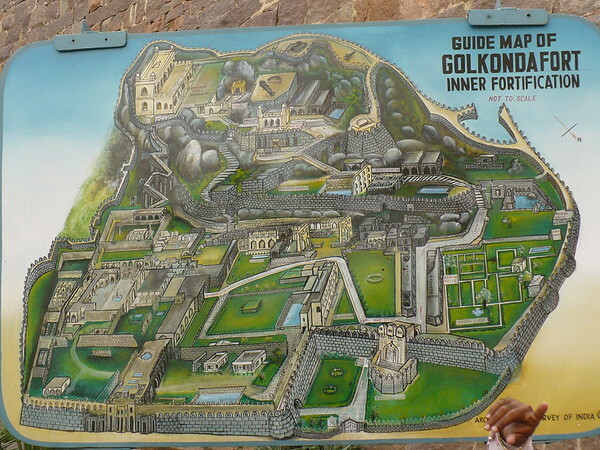 There are actually 4 forts that make up Golconda. 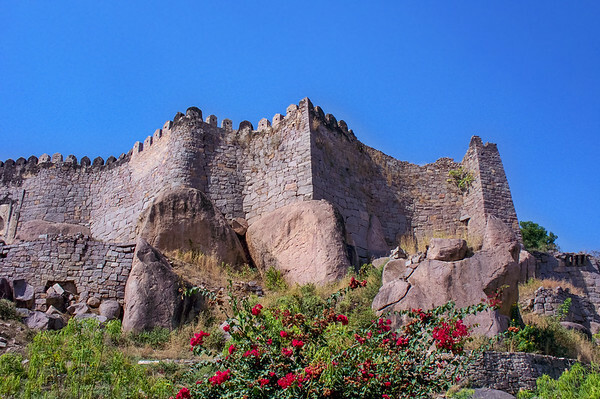 The forts are built on a granite hill and is 400 feet high. It was a three tiered fortification, protected by a moat, had eight entrance gates and a water supply system. I spent an 87 degree Saturday afternoon climbing the stairs to the various levels, stopping along the way to admire the architecture and imagine what it must have been like 500 years ago. On the way up to the top of the fort I shot all HD video, and on the way down I used my wife's Kodak Z1485IS to capture some still shots. The Nikon D90 stayed at the hotel for this jaunt. Just too much to carry, considering the climbing I was going to do. In this video we have just entered into Golconda Fort through the main gate and we are following the pathway through the courtyard headed for the climb to the top of the fort. My friend and colleague Mohan was our guide for the day, but my wife kept worrying about me, so no matter how many times I said not to keep looking back for me, she kept doing it. Kind of ruins the effect! Golkonda Fort - Getting Started from Bhaga Video on Vimeo. In this next video you can see the long climb we had to do, and we aren't at the top yet! You can also see more of the fort structures and outer walls. I would like to have spent an entire day there. Next time I will have someone drop me off and pick me up after dark, and most important be there by myself. Golkonda Fort - The Climb from Bhaga Video on Vimeo. Well, we aren't done yet, but we decided to take a break and enjoy the view from half way up. As you can see the city has crept up right to the fort walls edge. To take the video and pictures at Golconda Fort you have to pay an extra admission fee. Well worth the small price. Golkonda Fort - Continuing The Climb from Bhaga Video on Vimeo. 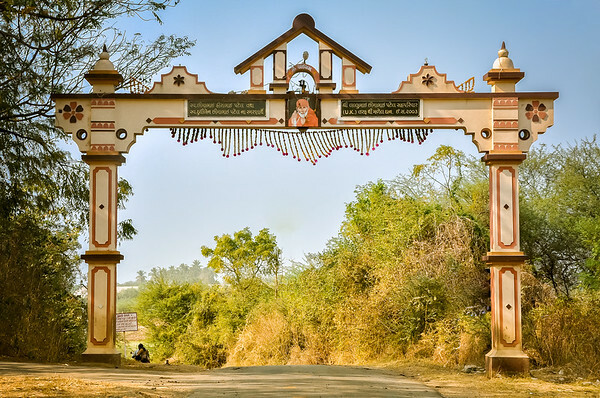 We had just started to climb the stairs and trails again when we arrived at the Sri Jagadamba Mahakali Temple. Geeta went into the temple while I took a few videos of the temple and surrounding area. The Hyderabad Bonalu folk festival begins here at the Mahakali Temple inside the fort. On the festival day, women ware silk sarees and jewellery, and some of the women carry pots filled with flowers on their heads. This is done in a procession. Golkonda Fort - Mahakali Temple from Bhaga Video on Vimeo. If you found this post enjoyable look for part 2 soon. The view from the top of the fort is spectacular, and as you can see it is a play ground for a photographer. The fort and surrounding area is rich with history. You could do an entire photo shoot on just one section of the fort. If on the other hand pictures really aren't your bag but you love travel, then I highly recommend Hyderabad. Everyday is an adventure with thousands of things to see. You will be in an area of the world where it's people, traditions and religion date back thousands of years.